“Unlock’d,” a collaboration between the University of Southern Maine music and theater departments; 7:30 p.m., March 1-2, March 7-9; 5 p.m, March 3 & 6; 10 a.m, March 8; 2 p.m. March 10; Russell Hall, Gorham campus. Go to usm.music.maine.edu/music/boxoffice for ticket information or call 780-5555. “Seussical Jr.,” 7 p.m. Fridays, 2 p.m. and 7 p.m., Saturdays, 2 p.m. Sundays, Windham Center Stage Theater, Windham Town Hall, 8 School Road. FMI: 893-2098, windhamcenterstagetheater@gmail.com, windhamtheater.org. “Truly Talented Kids,” cabaret-style show produced by The Black Box Teens, a middle school and high school theater education and service group, 7 p.m., Schoolhouse Arts Center, 16 Richville Road/Route 114, Standish. Fundraiser for Blackbox Theater. FMI: 642-3743, schoolhousearts.org, schoolhousearts@gmail.com. 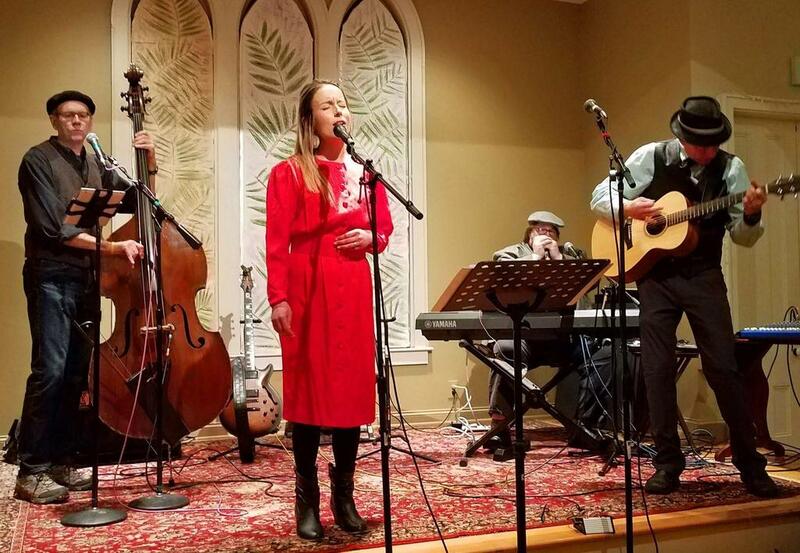 The Collins Band with Dave Collins, vocals, acoustic, electric guitar; Rudy Gabrielson, blues harmonica, keyboards, vocals; Crista Koerber, vocals, percussion; Paul Riechmann, stand-up bass, and vocals; 7 p.m., North Windham Union Church, 723 Roosevelt Trail, Windham. Proceeds from this Music with a Mission concert will benefit Windham Neighbors Helping Neighbors. Tickets $12 adults, $10 students at mwamconcerts.com and at door. Box office opens 6 p.m., doors 6:30 p.m. FMI: 892-7149 or MWAMconcerts@gmail.com. “Celebrating Chamber Music Within Our Communities,” Faculty Concert Series with Anastasia Antonacos on piano, musicians from 240 Strings in Portland and Music Haven in New Haven, Connecticut, alumna flutist Nicole Rabatta, 8 p.m., Corthell Concert Hall, University of Southern Maine, Gorham campus. Tickets: $15 adults; $10 seniors, USM employees and alumni; $5 students at usm.music.maine.edu/music/boxoffice or 780-5555. University of Southern Maine Art Faculty Exhibition, photography, drawing, painting, sculpture, ceramics, installation and digital art, noon to 6 p.m. Wednesday-Thursday, noon to 4 p.m. Friday-Sunday or by appointment, USM Art Gallery, Gorham campus, 780-5008. Juried Student Exhibition, opening reception 6-8 p.m., awards ceremony 6:15 p.m., University of Southern Maine Art Gallery, Gorham campus. Exhibit through March 31. The Collins Band will kick off Music with a Mission’s seventh season March 2 at North Windham Union Church. From left are Paul Riechmann, Crista Koerber, Rudy Gabrielson and Dave Collins.